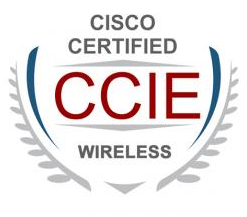 NC-Expert and Fast Lane have partnered to offer the only comprehensive 12-month authorized and Cisco endorsed CCIE Wireless program in the market. Learn from two of Cisco’s most trusted CCIE training providers. The new Cisco CCIE Wireless program is sold in two 6-month packages. The worldwide Fast Lane Group specializes in high-end technology and business training and consulting. Fast Lane offers complete, authorized training solutions for leading technology vendors, including Cisco, Microsoft, NetApp, VMware, IBM, Barracuda, AWS, Red Hat, Symantec, Veeam, Veritas and other major technology providers. In addition to those vendor’s standard curricula, Fast Lane also develops advanced technology, sales and business transformation curricula. Fast Lane’s vendor-independent consulting services solve a wide range of issues from conducting preliminary analyses and assessments, to designing future-focused IT solutions.